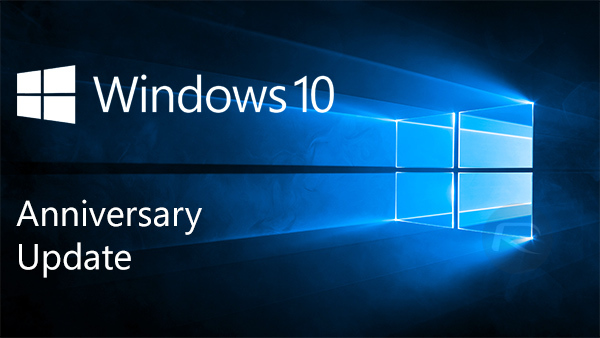 The windows 10 anniversary update is the latest update that Microsoft is pushing out to their users. And this is actually their second big update since the release of Windows 10. unlike the other regular updates, this is not just to fix bugs to add up new features for the windows users such as the more advanced antivirus security features, better support for extensions on windows edge browser among other new features. Although this update can be easily done by manually going through your settings but while some people are probably not seeing the latest update, some others might just want to re Install a fresh windows. So am going to teach you guys 4 different ways to update your PC to the latest Windows 10 anniversary update. 1. Manually Through Windows Settings: You can upgrade your Windows 10 by going through the settings options. ==> Under Windows Update, click on Check for Updates. ==> Once the update appear, select it and your download will begin. ==> Just restart your PC and wait for the installation to complete. 2. By Using The Windows 10 Upgrade Assistant App: Although the first method is explanatory enough, the problem is that even many people won't see the latest version when they check under the windows Settings. So if you happen to fall under that category, then follow the procedure below to resolve it. ==> First visit this LINK. ==> Download and save the Windows10Upgrade28084.exe . It's 5.2mb. ==> Open the Windows10Upgrade28084.exe and run the app. ==> Select Update Now and wait while the app check if your device is compatible. ==> If your device meets the minimum requirement, then click on next and wait while the app downloads the required files. ==> Once the download is completed, then your device will reboot to complete the installation process. Just like the 1st method, none of your files or apps will be deleted as it is just an ordinary upgrade. 3. Using the media creation tool: This media creation tools is useful for those who want to download the ISO, create a fresh and clean installation or those who want to upgrade without loosing any file. If you have been having issues upgrading your Windows 10 then you can also use this method, aside upgrading your PC with the media creation tool, you can also download the ISO, burn it to a disc or flash and install on other PC or just keep for future use. Below is a detailed instruction on how to use the Windows media creation tool. ==> First, you have to download the media creation tool from this LINK. ==> Open the folder where you saved the downloaded file "MediaCreationTool.exe" and open it by double clicking on the file. ==> Once the file is opened, you will be asked to either Upgrade this PC now or Create installation media for another PC. **>If you want to download the ISO file then select "create installation media for another PC" select next and choose a folder where you want to save the file. ==> If you want to upgrade, select Upgrade this PC now and click on next. ==> Just wait a moment while the app check your PC and download the required files. ==> Select Accept for the license terms and wait for a few minutes. ==> After that, your download should begin automatically. ==> You will be required to restart your PC after which your installation will begin. Just as I said earlier, none of your files or apps will be deleted so you have absolutely nothing to worry. 4. By Downloading The ISO Image: This probably the most straightforward method for those who are a bit techy. I wouldn't be explaining this particular method at all. I will only provide the download LINK. So if you know you aren't too familiar with the full installation process then just ask questions in the comment box below or better still, use any of the 1st three methods. ==> Download the ISO image from this LINK. ==> You can either burn it on a disc or a flash drive. If you have any question or further contribution, then feel free to drop it in the comment box below. And also don't forget to share this post.